Las Vegas Sands Corp. announced grants totaling $320,000 to HELP of Southern Nevada and the Nevada Partnership on Homeless Youth to help address local short- and long-term homelessness. COURTESY Greater Las Vegas Association of Realtors volunteers helped build a Habitat for Humanity house for a local working family at an event held in September. 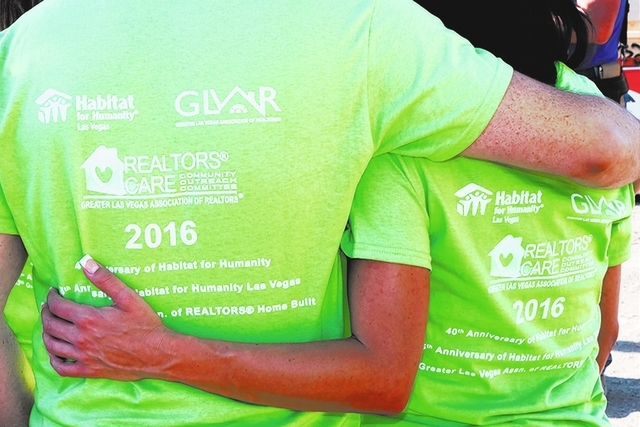 Courtesy In partnership with Habitat for Humanity Las Vegas, the Greater Las Vegas Association of Realtors dedicated a Habitat house to a local family in September. The U.S. Department of Housing and Urban Development reports the size of Las Vegas’ homeless population trails only New York, Los Angeles, Seattle and San Diego. Volunteers in Medicine of Southern Nevada held its eighth annual Volunteers in Medicine Ball on Oct. 1 at The Venetian ballroom, honoring Dr. Harry Rosenberg and Dr. Renee E. Coffman, co-founders of Roseman University of Health Sciences, who support VMSN’s goal to provide charitable and accessible health care to Southern Nevadans. Proceeds from the ball will fund VMSN’s daily medical services and development of new programs. VMSN provides 7,000 patient visits each year and serves as the medical home for more than 2,200 residents. Through the generosity of community partners and more than 500 volunteers, VMSN delivers nearly $4 million in health care every year on a budget of about $1 million. 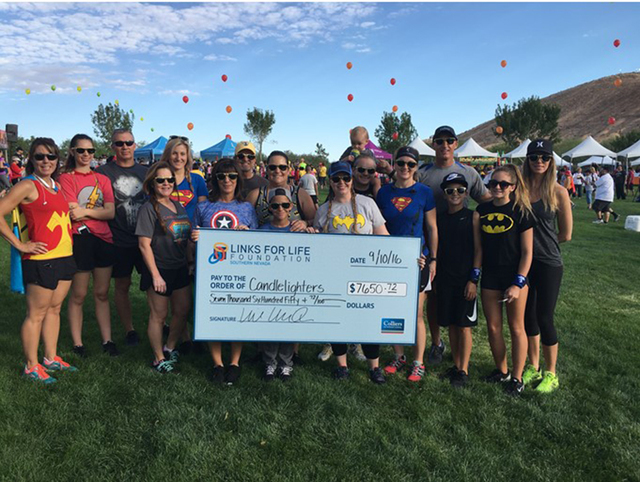 Colliers International–Las Vegas and its charitable foundation, Links for Life, teamed up to raise more than $7,500 for Candlelighters Childhood Cancer Foundation of Nevada at the 26th annual Superhero 5K with Chet Buchanan. The annual run at Exploration Peak Park in Mountain’s Edge on Sept. 10 raised awareness and funds to fight children’s cancer in Las Vegas. Colliers brokers and staff collected donations from family and friends, while Links for Life matched the amount, resulting in a total contribution of $7,651. Colliers and Links for Life have committed to be a $20,000 “Love” sponsor to Candlelighters, and this 5K is one of many sponsored events they will participate in this year. In total, the Superhero 5K race raised more than $200,000. In partnership with Habitat for Humanity Las Vegas, the Greater Las Vegas Association of Realtors dedicated a Habitat house for a local working family at an event in September. 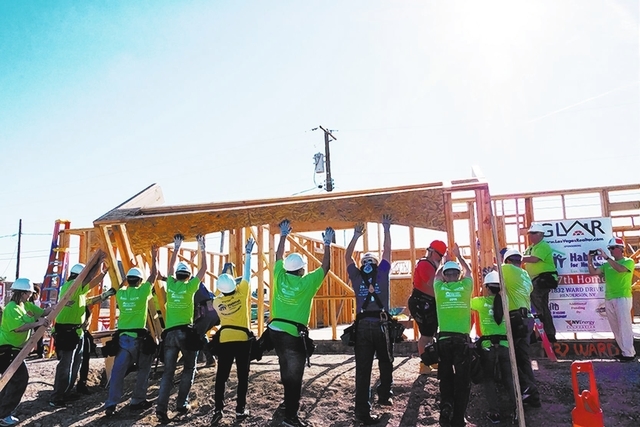 Led by President Scott Beaudry, GLVAR members and Habitat for Humanity volunteers worked to build the three-bedroom home, the 13th Habitat house GLVAR has supported. 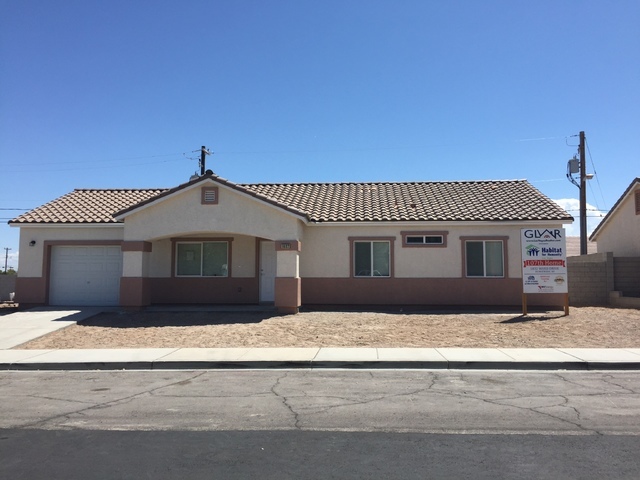 The home is adjacent to the six single-family homes Habitat Las Vegas completed on Merze Avenue and Ward Drive, as part of Habitat’s neighborhood revitalization efforts in Henderson’s Pittman region. GLVAR donated $100,000 to fund the project as part of its commitment to provide homeownership opportunities to those who meet Habitat’s qualification criteria. U.S. Army Corp. Christopher Hudson received the keys to his newly renovated home in Las Vegas in a presentation Oct. 14. The home was donated mortgage-free by the Veterans Association of Real Estate Professionals in partnership with the Nevada Housing Division. Hudson enlisted in 1996 and served as an aviation structural repair supervisor in multiple tours in Iraq and Afghanistan. Injured during his active service, he was honorably discharged in 2005. Hudson now helps veterans find their way as an outreach program specialist for Las Vegas Veteran Center. The High Roller observation wheel at The Linq Promenade launched a dynamic partnership this fall with the Clark County School District to teach K-12 students about critical science, technology, engineering and mathematics in a thrilling way. In conjunction with the CCSD Community-Partnership Program, the new High Roller curricula not only incorporate the world’s tallest observation wheel into STEM education, but also give students an exclusive behind-the-scenes tour. Age-appropriate lesson plans designed for grades K-2, grades 3-5, grades 6-8 and grades 9-12 combine classroom instruction with field trips to the High Roller, where STEM subjects come to life. The program broadens participating students’ understanding of targeted subjects by encouraging them to ask questions and brainstorm solutions. As part of Nevada State Bank’s commitment to provide financial education to people statewide, the bank is continuing its relationship with Shade Tree to provide financial training for women. Volunteers from the bank work with the women from Shade Tree on classes covering topics such as budgeting, career options and renting an apartment. Many of the women have a limited understanding of how to manage their money, and some have never held a job. Yellow Checker Star partners with Honor Flights to send heroes to D.C.
Yellow Checker Star has partnered with Honor Flights of Southern Nevada to transport 28 war heroes to Washington, D.C., to visit historic memorials. Honor Flights is a volunteer organization created to provide World War II veterans with honor and closure by transporting them to memorials dedicated to honor the service and sacrifices of themselves and their friends. Yellow Checker Star supports charitable resources in the community and veterans programs in Southern Nevada, including Tent for Troops and the Semper Fi Fund, which contributes financial assistance and additional services the nonprofit provides for military service men and women, veterans and their families nationwide. Colliers International and its charitable foundation, Links for Life, donated funds to assist three local families in traveling nationwide for specialized medical care. Miracle Flights will provide commercial airline tickets to seriously ill patients and their families so they may receive treatment and visit specialists throughout the country. The organization represents real people who have been granted the hope of a healthier future, and recently surpassed its 100,000th flight.